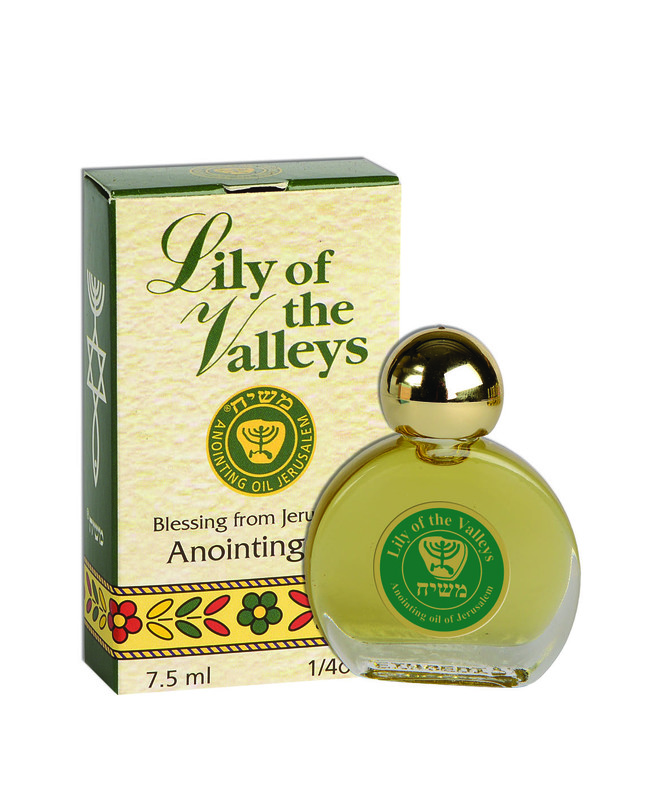 This lovely anointing oil is Lily of Valleys scented, on a base of pure Israeli olive oil. A beautiful smell of the holy land, it is a wonderful and unique way to smell great. An attractive bottle with an attractive scent contained within, this lovely anointing oil is made of pure Israeli olive oil made from Israeli grown olives, mixed with Lily of Valleys essential oil. A plant that is lethal when consumed, but the white flower's scent is known and loved as a perfume worldwide.